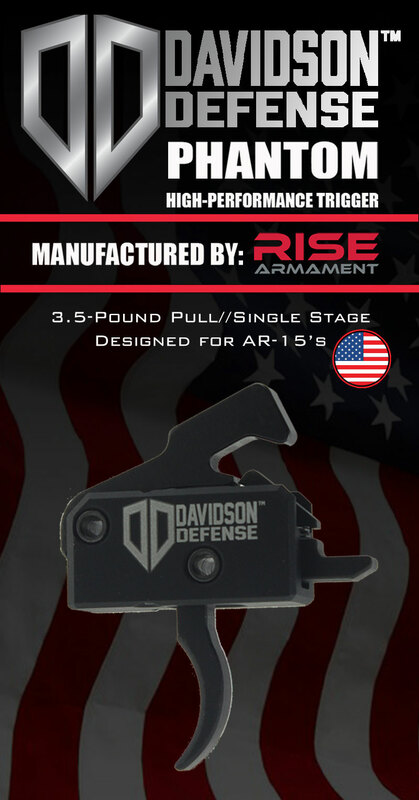 Match Grade trigger pull at 3.5 lbs consistent made by Rise Armament. Anti-Rotate/anti-walk pins strongly recommended but not required standard pins will work most of the time, but no pins are included. 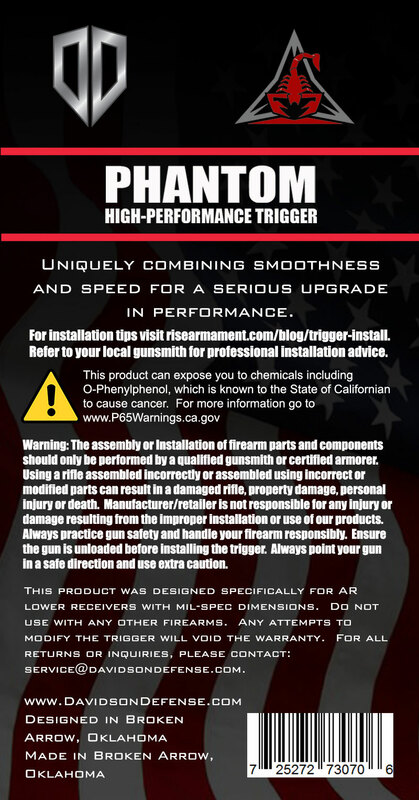 Instructions for installing Drop-In AR-15 and AR-10 trigger group. 1. If installing in a receiver that already has a trigger and hammer installed, remove the trigger pin and hammer pin and remove the trigger and hammer as well as the grip, safety selector and detent. 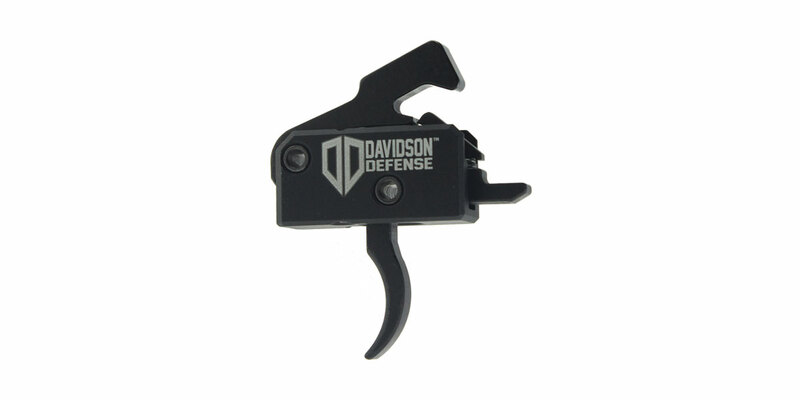 New receivers, install the drop-in trigger before mounting the grip. 3. Insert the hammer and trigger pins. Anti-walk type pins work much better, as standard pins can drop out. 4. Towards the center of the trigger cassette you will see two small set screws. With the trigger and hammer pins in place, push the trigger spring towards the center with your Allen wrench and turn those set screws down to raise the trigger the point that there is pressure created on the trigger and hammer pins which will hold them in place. This step is VERY important and will take care of the slight dimensional differences between lower receivers. 6. Insert the safety selector switch. The hammer needs to be in the cocked position. 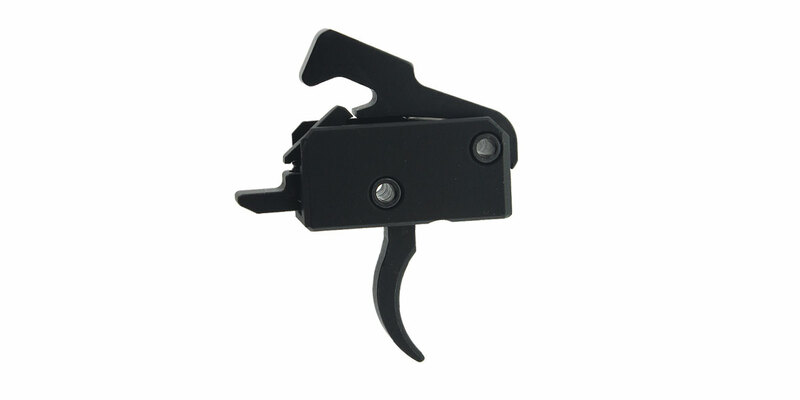 Take care as it is inserted to not push the selector into the back extension of the trigger. Replace the safety detent, spring and grip. 7. At this point you can test the trigger pull and reset.